On 27 April 2013 a US Air Force (USAF) Beechcraft MC-12W Liberty King Air 350, 09-0676, of the 361st Expeditionary Reconnaissance Squadron (361 ERS), suffered as Loss of Control – Inflight (LOC-I) and crashed 110 miles northeast of Kandahar, Afghanistan during a combat Intelligence, Surveillance and Reconnaissance (ISR) mission. The crew of four was killed on impact. The crew consisted of a Mission Commander (sat in the front right seat, with a fold down secondary display and keyboard for use on-station), Pilot, Sensor Operator and Tactical Systems Operator. We examine the findings of the USAF Accident Investigation Board. The unit had a high operations tempo, conducting 24/7 operations with a 99.96% success rate, meaning 99.96% of the time a ground force commander expected to have an MC-12W overhead, it was there. At the time of the mishap, approximately 60% of aircrews were ‘flow-throughs’ (on temporary duty with the MC-12W program from other weapon systems) and 20% of all the deployed aircrew rotated out each month. The MC-12W Liberty programme was started in 2008 to field immediate ISR capability for Iraq and Afghanistan and went from contract to first combat sortie in just 8 months, by modifying the KA350. These KA350s had the Rockwell Collins Pro Line 21 cockpit avionics system. The MC-12W programme was reportedly named ‘Project Liberty’ “as a homage to the World War II-era Liberty Ship programme” of mass produced merchantmen. The mission systems were integrated by L-3 Communications, with 22,000 man hours needed for each conversion. The first combat mission was undertaken in Iraq on 10 June 2009. The $1 billion MC-12W procurement was intended to fill an ISR gap by providing full-motion video and signals intelligence data in real-time down to the ground troops. This urgency led to several aspects of the program not being normalized, which created increased risk, particularly aircrew inexperience and lack of instructors in the combat zone. …the MC-12W has over 40,000 additional parts and systems, and different aerodynamic characteristics…It is fitted with…. an array of antennae and other external equipment, weighs more, and has more drag than the King Air 350. The MC-12W did not undergo normal developmental or operational testing to account for these differences. Similar modification programmes for urgent operational requirements elsewhere did not skip these essentials, even when deployed rapidly in response to urgent in-theatre requirements. 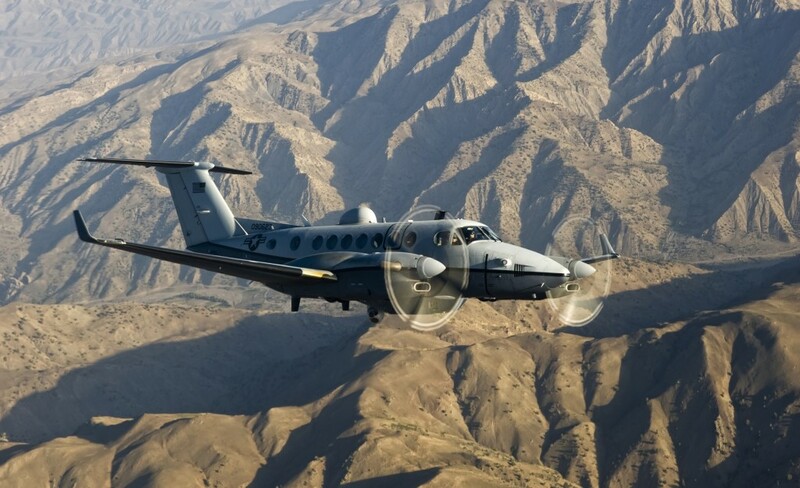 The MC-12W had been tasked with a 5 hour surveillance mission. It was fitted with a CVR but not an FDR. After takeoff at 1157 Local Time, the aircraft, call sign Independence 08, encountered isolated towering cumulus buildups en route to their operating area. The Sensor Operator reported they had arrived on-station using Internet Relay Chat (mIRC) at 1229. This was the primary method of communication with both Air Traffic Control (ATC) and their tasking unit. On-station, the crew encountered a cloud a rapidly building towering cumulus (TCU) cloud at 17,000 to 24,000 ft in the center of their orbit area. While in their first orbit, aircraft was in clouds approximately half of the time, and the aircraft was experiencing light to moderate turbulence. There is no indication however, that the aircraft encountered severe turbulence or significant icing during the flight. At 1234, the System Operator commented in mIRC, “…looking at scattered and broken 16-170 [cloud base at 16,000 to 17,000 ft], plus this giant thing we’re flying around going up to about FL240 [24,000 ft]”. The TCU continued to grow and drift into the aircraft’s orbit, prompting a request to climb from 20,000 ft to 23,000 ft (equivalent to climbing from 13,800 to 16,800 ft above ground level). This was approved via mIRC. The aircraft was in a left hand orbit in IMC at the time and preparing to shift the orbit position to better track an active ground target. The Pilot initiated the climb at 1240:10 via the auto-pilot, utilising either the constant pitch or constant vertical speed (VS) mode rather than the Flight Level Change (FLC) mode. In these three modes, the Pilot must manually adjust the throttles but significantly only in the FLC mode will a constant airspeed be maintained. The other two modes require attention and manual input to maintain airspeed. The investigators report that about half the MC-12W pilots would have typically used VS mode in such circumstances. The Pilot was simultaneously making the desired orbit adjustment to better service tracking an active target. Approximately 10 seconds after the climb was initiated, the climb rate had increased and a further 5 seconds later the pilot noticed noticed airspeed was decreasing (from 150 to 116 knots during the final seconds of controlled flight). Another 7 seconds later, the Mission Commander said, “Alright, firewall,” ordering advancing the throttles fully forward, suggesting he was aware the speed was falling but not that a stall was immanent as lowering the nose to reduce the angle of attack would have been more appropriate. This power increased would have resulted in a left hand yaw (i.e. into the direction the aircraft was already turning). Stall recovery technique is dependent on aircraft configuration, but generally involves reducing the wing’s angle of attack, increasing airspeed, and regaining and maintaining coordinated flight. The MC-12W program uses published King Air 350 stall speeds since there are no stall speeds published specifically for the MC-12W. Although it was stated some limited testing had been conducted, the AIB President concluded that “the actual differences are unknown” and “the aerodynamic differences between the MC-12W and King Air 350 would logically affect the stall speed and recovery characteristics”. One second later the auto-pilot disengaged and another second later video feed was lost and the bank angle warning tone sounded, indicating the aircraft was now banked at over 50°. Shortly after the aircraft overspeed warning sounded, followed by the landing gear horn sounding. The landing gear horn indicates the throttles were now reduced to idle. At 1241:44 the CVR recorded sounds indicating items flying around within the aircraft. The investigators believe this indicates the aircraft violently entered a spin. A spin could result from uncoordinated flight to correct excessive left bank, while in a stall, combined with the left-yawing tendency of two engines at maximum torque. The bank angle warning tone stopped. 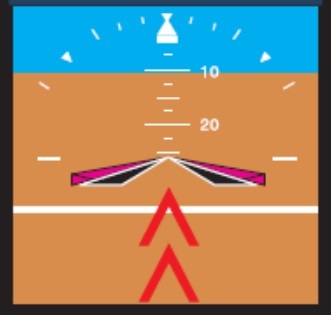 If a primary flight display (PFD) reverts to its ‘No Computed Data’ mode due to pitch >30° nose-up or >20° nose-down or a bank angle >65° or yaw change in excess of 125°/s, the audible bank angle warning would stop, and the PFD would be blank except for red chevrons pointing towards the horizon. Adding up elevator, in other words, “pulling up,” or back on the yoke, would be counter to proper spin or spiral recovery procedures. The Mission Commander said 3 seconds later “Eyes inside. Look at your airspeed,” before then taking control. However, he wasn’t able to recover the aircraft in the next 30 seconds before impact. Prior to impact, a portion of the right wing tip separated from the aircraft due to the stress placed on the wing. The aircraft, valued at $19.8 million, dropped 15,000 ft in less than 2 minutes before it hit the ground less than 1 mile laterally from where it stalled, with all but the right wing tip within a 50m radius. IQT teaches crews how to fly a civilian King Air 350, and MQT teaches crews to employ the MC-12W in combat. IQT consists of six simulator rides, is provided at three sites by contract instructors, and is the same training civilians receive to be qualified in the King Air 350. MQT consists of 15 sorties, is provided by military units at Beale AFB, and focuses on mission-related tasks. The first two MQT sorties transition the pilot from IQT and focus strictly on basic airmanship, or flying skills. IQT and MQT are relevant to this mishap because both training and aircraft experience affect basic airmanship skills including recognition of and recovery from unsafe aircraft attitudes. The Mission Commander was an experienced Boeing KC-135 pilot, though not an instructor, with 1,749.1 total hours, most of which were in the KC-135. He was a ‘flow-through’ MC-12W pilot who received 3 months IQT/MQT before a 6 month deployment and then a return to their parent unit. Most mission commanders are deployed with just 20 hours of MC-12W flight time. He flew his first MC-12W combat sortie 7 weeks earlier on 4 March 2013 and had accumulated 201.5 MC-12W combat hours (a high flying rate). He became qualified as ‘Certifier’ on 26 April 2013. This was a locally-developed flight programme “to season new Mission Commanders by flying them in the Pilot (left) seat with an experienced MC-12W Mission Commander in the right seat, prior to moving the inexperienced Mission Commander to the more technical and complex right seat”. The mishap sortie was the his first indoctrination flight while performing as a certifier. The Pilot was a recently qualified MC-12W Mission Commander. He was an experienced Lockheed EC-130H pilot with 2,434 total hours. Past checkrides “indicate strong performance, with no major deviations” and “performance during MC-12W MQT met or exceeded all standards”. This was the Pilot’s first sortie in-theater and so was required to fly with a certifier, his first flight in 26 days, and his first MC-12W flight in 45 days. As he had been a trainee Mission Commander, it was also his first documented left-seat sortie in 64 days, and first documented flight in IMC in 67 days. The only apparent concession was the crew walked to the aircraft, or ‘stepped,’ 15 minutes early to give the Pilot more time to execute pre-takeoff checklists. Both Mission Commander and Pilot were therefore inexperienced in their roles. The Sensor Operator was from a Boeing E-3 on his second MC-12W tour and the Tactical Systems Operator was “was an experienced Cryptologic Operator and Korean linguist with 1,494.6 hours in six aircraft types”. …6 out of the 32 assessed items were marked as “medium” or “high.” Two of the four mishap crew rated themselves as high risk in the individual section [the Pilot due to his having <100 MC-12W hours and the System Operator for an undetermined reason], but this is only one portion of the overall risk. Since the remaining items were assed [sic!] the mission had an overall assessment as “low”. Also, the ORM process identified the Pilot’s inexperience in the MC-12W, but was not designed to reflect this as the Mission Commander’s first certifier ride [too]. Scheduling a more experienced certifier on the Pilot’s first combat sortie was not discussed. At the time of the mishap sortie, the Mission Commander was a new certifier and was completing his second month on his first MC-12W deployment. Flow-through manning and scarcity of experienced MC-12W pilots resulted in few deployed instructor pilots, and made it difficult to fully mitigate inexperience levels while scheduling. No fundamental changes seem to have been made after completing the ORM. The Squadron Commander and the unit’s Director of Operations were the only two MC-12W instructors in Kandahar at the time of the accident. They alternated 12-hour shifts to ensure 24/7 availability of senior management and were unavailable to fly as instructors. Certifiers are not qualified MC-12W instructors. This is a factor “when the potential risks of a large program, operation, acquisition or process are not adequately assessed and this inadequacy leads to an unsafe situation”. 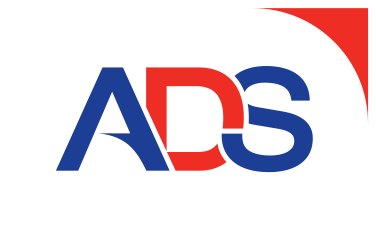 Program success came with the assumption of certain risks including rapidly implemented training programs and the delay of program normalization. Normalization refers to aligning a program with accepted Air Force common practices. This lack of normalization is evidenced by a “flow-through” manning process with its associated challenges, crew position waivers, and a non-standard aircraft certification/testing process for the mission-required MC-12W modifications. These program risks are most visible from a human factors perspective in organizational training gaps and limited pilot experience. We would also tend to highlight the aircraft modification programme and the lack of some normal certification testing, testing that similar modification programmes for urgent operational requirements elsewhere did not skip. 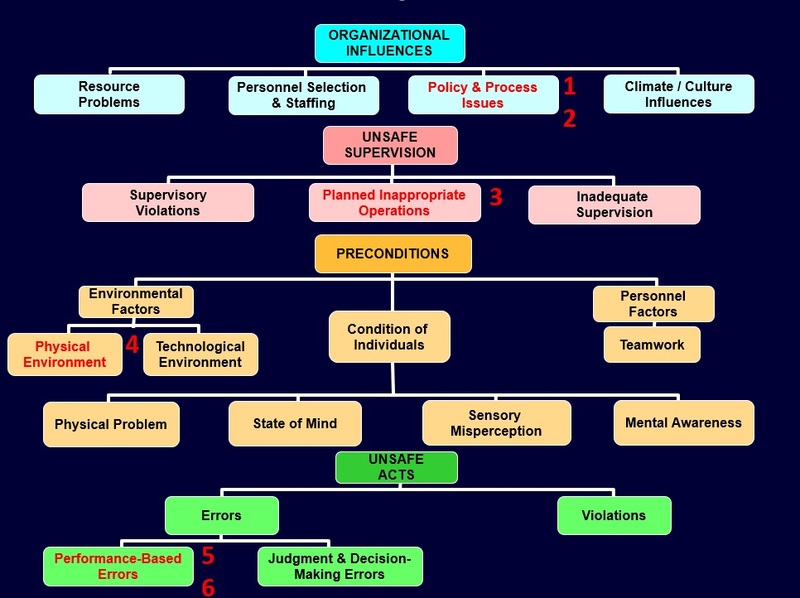 However, the human factors in the design and certification process were not analysed (a classic problem if taxonomies are used only on operational matters or the circumstances closest to the accident). We also note that a similar t flow-through process is currently still used to provide crews to fly the Northrop Grumman converted Bombardier E-11A Global Express Battlefield Airborne Communications Node (BACN) aircraft over Afghanistan. In that case they only fly simulators in the US and then deploy to fly the aircraft for the first time. A factor “when one-time or initial training programs, upgrade programs, transition programs or other training that is conducted outside the local unit is inadequate or unavailable and this creates an unsafe situation”. …was limited. This is significant as a typical mission sortie includes substantially more time in orbit than in any other phase of flight, and the orbit is flown relatively close to stall speed”. Four previous MC-12W orbit stalls that resulted in significant, near catastrophic altitude loss highlight this limited training. These four near misses occurred in adverse weather and also show why training and experience in weather is important. Training in the often unpredictable weather experienced in Afghanistan cannot be replicated at Beale AFB [California], where it is largely clear all summer and has mild winter weather. [The military delivered] MQT is focused primarily on mission employment rather than on basic airmanship or “stick and rudder” training. Additionally, unlike more normalized airframes, there was no combat mission ready top-off program to bridge the gap between MQT and crews deploying to combat. 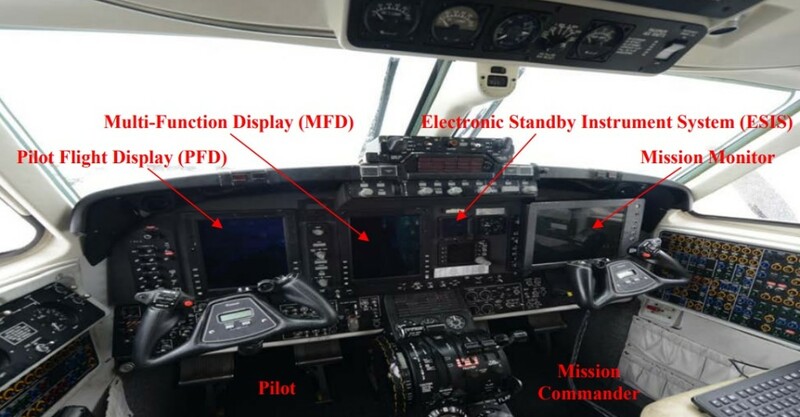 The Pilot Flight Display in the MC-12W has “Declutter” and “No Computed Data” modes. During unusual aircraft attitude scenarios, these modes automatically replace the normal instrument display with a simplified recovery mode, which displays only essential data. Pilots may be unfamiliar with the “Declutter” or “No Computed Data” modes since neither IQT nor MQT emphasize them, nor can they be safely replicated in the aircraft. Unfamiliarity with the “Declutter” or “No Computed Data” modes could lead to confusion and delayed or improper stall/spin recovery. We discussed a similar ‘de-clutter’ issue here: CRJ-200 LOC-I Sweden 6 Jan 2016: SHK Investigation Results. A similar observation of unfamiliarity with such decluttered displays was made by the UK AAIB after a high altitude stall and loss of control involving Cessna 525A Citation CJ2+ N380CR in 2013 where the aircraft’s wings were damaged in overload due to pulling +4.48g during recovery (between the +3.6g ‘limit’ load and +5.4g ‘ultimate’ load). A factor, “when the supervisor selects an individual whose experience for a specific maneuver, event or scenario is not sufficiently current to permit safe mission execution”. Both pilots were on their first MC-12W deployment and were inexperienced in their roles on the mishap sortie. A factor “when weather, haze, or darkness restricts the vision of the individual to a point where normal duties are affected”. Sensor camera data, coalition surface personnel, and mIRC data indicate the crew’s vision was restricted by clouds near the time of departure from controlled flight and they likely did not have a visually discernible horizon. Cloud tops reached 24,000 feet during the time of the mishap. Weather is relevant because lack of external visual cues is almost universally causal to known instances of spatial disorientation. Spatial disorientation, which is a failure to correctly sense a position, motion, or attitude of the aircraft or one’s self in reference to the ground, can lead to unrecognized dangerous aircraft attitudes. In this case, the mishap crew’s visual cues were limited during their climb and initial departure from controlled flight, and their initial recovery actions would have occurred in an environment lacking a visually discernible horizon. However, as this is an aircraft cleared for operating in Instrument Meteorological Conditions with a nominally Instrument Rated crew this factor should have been of minimal direct relevance. A factor “when the individual fails to effectively execute learned/practiced internal or external visual scan patterns leading to an unsafe situation”. The CVR indicates there were mission and weather-related task changes as the Pilot initiated his climb. The airspeed decreased from 150 knots to 116 knots during the final seconds of controlled flight. The Pilot’s visual scan failed to timely identify the decreasing airspeed. This HFACS coding appears more an outcome, perhaps of workload / distraction or of low familiarity with the displays. A factor “when a procedure is accomplished in the wrong sequence or using the wrong technique or when the wrong control or switch is used”. …the Pilot exercised a “max power” procedure in conjunction with the slow airspeed and subsequent stall warning, there is no evidence of an immediate pitch correction to reduce the angle of attack and avoid a stall. Due to left-turning tendencies of propeller-driven aircraft, power application without reducing the angle of attack could lead to additional yaw in the same direction as the established turn. Both stall and yaw are necessary preconditions for a spin. In addition, after departure from controlled flight, the Pilot delayed 15 seconds in executing a “power idle” procedure. Finally, the Pilot called “Whoa, pull up,” and may have prematurely pulled up as a “No Computed Data” screen on the PFD would have prompted. Pulling up too early will exacerbate either a spin or a spiral. Again, like other level 4 unsafe act codings in HFACS, this is more a statement of what happened, not why. The cause of this mishap, supported by clear and convincing evidence, was a stall due to insufficient airspeed, while in a climbing left turn, which developed into a left spin followed quickly by a high-speed spiral, from which the flight crew was unable to recover. Known MC-12W program risks associated with sustaining required combat capability in theater. …the aerodynamic differences between the MC-12W and King Air 350 would logically affect the stall speed and recovery characteristics. Because the actual differences are unknown, I cannot find the lack of typical developmental or operational testing contributed to the mishap. The President makes no comment about the 4 prior near loss of control events. However, in 2015 11 were transferred to the US Army and 26 to US Special Operations Command (SOCOM). Since its first combat mission on 10 June, 2009, the MC-12 community has flown 400,000 combat hours and participated in 79,000 combat sorties, the [USAF] says. In November 2014, the air force reported that MC-12 crews had aided in the kill or capture of “more than 8,000 terrorists”, and uncovered 650 weapons caches. How To Develop Your Organisation’s Safety Culture positive advice on the value of safety leadership and an aviation example of safety leadership development. How To Destroy Your Organisation’s Safety Culture a cautionary tale of how poor leadership and communications can undermine safety. Organisations need to be confident that they are hearing all the safety concerns and observations of their workforce. They also need the assurance that their safety decisions are being actioned. The RAeS Human Factors Group: Engineering (HFG:E) set out to find out a way to check if organisations are truly listening and learning. The result was a self-reflective approach to find ways to stimulate improvement. UPDATE 30 March 2019: Contaminated Oxygen on ‘Air Force One’ Poor standards at a Boeing maintenance facility resulted in contamination of two oxygen systems on a USAF Presidential VC-25 (B747).